Y2 Capacitors, which are used to bridge operational insulation, are classified as Y1, Y2, Y3 or Y4 according to type of bridged insulation as well as AC and peak voltage ratings. Y1 class capacitors are rated up to 500 Vac, with a peak test voltage of 8 kV. 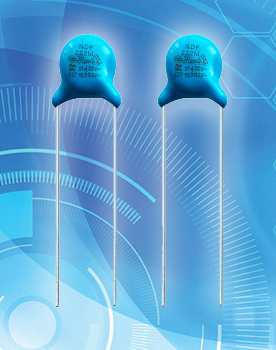 Commonly used Y1 capacitors in DAIN are 222M 250Vac and more according to the requirement in application. We are positively working with the aim of supplying quality electronic components to our cleints with high reliability and long term future relationship by providing with superior work ethic and assurance in India. We keep an environment for success by teamwork, talent, passion and acting with pride and confidence. We create value for our customers by becoming the supplier of choice by delivering premium products timely all across the country.